We are always looking for exciting opportunities to share Ricco Mortensen’s entrepreneurial and digital marketing know-how and show how to build a successful business online. This by teaching you and your audience the greatest tips, smart tools, and best practices. Perfect for the visionary entrepreneur wanting to succeed. This is why we let Ricco speak at various events, summits and conferences, as he is an expert in digital entrepreneurship. If you’re organising an upcoming event and believe your audience would love to hear Ricco speak, simply send us an enquiry and we’ll do our best to see how we can help. While we wish we could have Ricco speak at every event requested, we must be selective, given the number of enquiries we receive. Kindly have a look at the following Q&A’s to get a better understanding of how Ricco’s speaking engagements work, and whether he is a good fit for your next event. 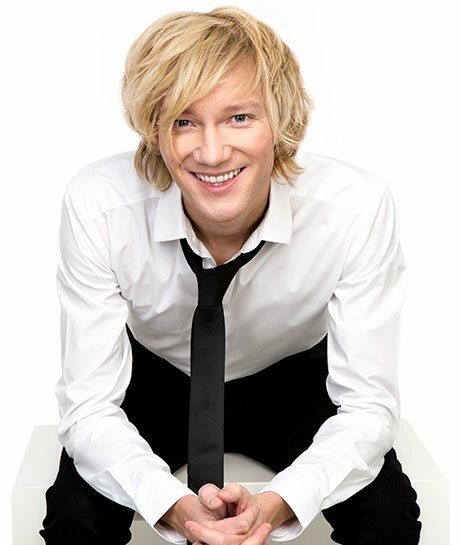 Ricco Mortensen is an expert in digital entrepreneurship, speaker and author with a uniquely European flair. He worked his way up through the ranks – from McDonald’s cashier in Denmark to one of Europe’s most esteemed experts in digital entrepreneurship. Ricco’s strengths lie in his endearing personality, with a knack for innovative and logical problem-solving, conjuring up and executing big ideas, and sharing his ingenious business solutions with clients, students and friends. His journey hasn’t always been a bed of roses. Ricco travelled through hell and high water to get to where he is today, and he celebrates these challenges because now Ricco can teach people how to avoid making the mistakes he did. In 1997 Ricco started his very first business – building computers and websites and online shops for clients. Some of his early entrepreneurial adventures include coming up with cutting-edge solutions for various companies and developing SMS reminders for Danish bookstores, libraries, and beauty salons. Ricco even developed a world-wide document scanning service and even a full-service intranet for McDonald’s. In 2012 Ricco began teaching online marketing at VIA University College, Denmark’s largest university of applied science. Since then he has been lecturing and teaching at various events across Europe. Today, Ricco is best known for his ability to help aspiring entrepreneurs build successful businesses online. One of Ricco’s greatest talents lies in online strategies and company and tax optimization, helping his clients make the most profit from their hard earned money. To date, Ricco has educated thousands of students and consulted hundreds of clients. Ricco created the Ricco Mortensen Foundation, a nonprofit charitable educational organization, aimed at teaching as many people as possible how to have entrepreneurial success. The foundation is offering various educational programmes specially designed for the digital entrepreneur. In addition to Ricco’s teachings, he is an inspiring speaker too! After submitting an enquiry, am I guaranteed to have Ricco speak at my event? While we love saying yes to all speaking engagements, Ricco simply doesn’t have time to speak at every event. Even though he’d really love to do so! For this reason, there are no guarantees. What criteria make my request a good fit? We take our time to consider whether your event is a good fit for Ricco. We typically say yes if an event provides Ricco and the foundation with an ideal opportunity to inspire as many entrepreneurs as we possibly can. Events with fewer than 30 attendees aren’t typically a great match. If a speaking engagement takes places outside of Cyprus, greater travel time is required which makes it preferable for there to be upwards of 200 attendees. We also take into consideration the main topic of your event, type of audience and travel time for Ricco. The type of event, number of participants and travel costs will determine the price. You will get a price when once we have all the details. Then we sign a contract and the invoice must be paid before the date of the event. What topics does Ricco talk about? Ricco is an expert in digital entrepreneurship, which means he can speak on any topic within the realm of digital marketing and online business and everything related to entrepreneurship. This includes designing your entrepreneurial life, making money on autopilot, becoming a digital nomad, overcoming challenges and creating solutions when running a business online. Ricco also covers social media, SEO, email marketing, using the right tools, sales funnels, company formation, tax planning and much more! What's the event start time? What's the event end time? What's the name of the event and what objective? What's the estimated number of attendees? What other speakers (if any) will speak at the event? What is the event location address, city and country? Does the event have a webpage, if yes what is the address? Will there be sold tickets to the event, and if yes the average price & currency of the tickets? How do you plan to promote your event? I accept that the above data will be stored at Ricco Mortensen Foundation and that I will be contacted by e-mail and phone regarding a speaking appearance.